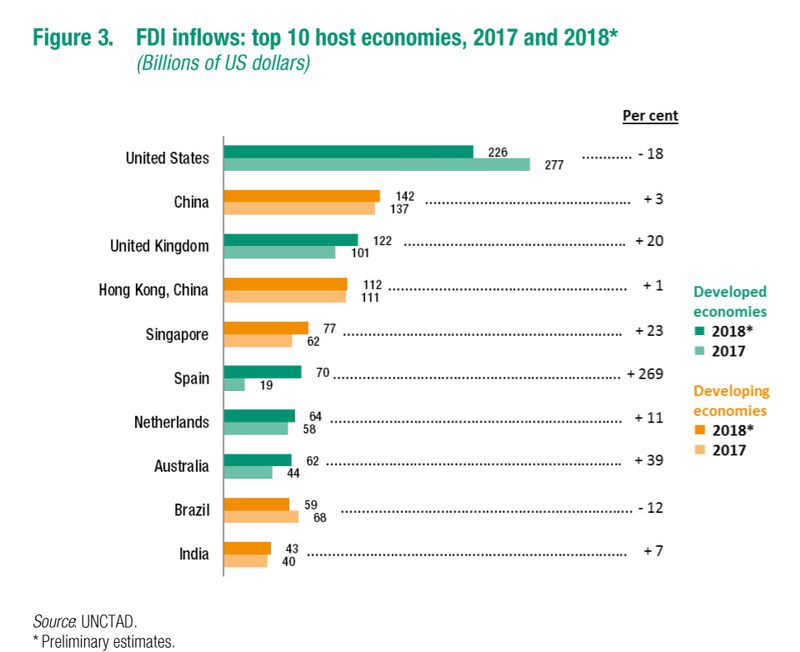 UNCTAD (2019)  announced the top 10 Foreign Direct Investment (FDI) Inflows of the World, and Hong Kong’s rank drops from the 3rd to the 4th, but still retains almost the same amount of FDI Inflows. Figure 1 shows the top 10 FDI Inflows amounts, and Hong Kong received US$111 and US$112 billion FDI Inflows in 2017 and 2018. Where do they come from? According to the Census and Statistics Department (2018) report , the most important source for Hong Kong’s inward Direct Investment is the British Virgin Islands (BVI), accounting for 32.8% of the total position of Hong Kong’s Inward Direct Investment at the end of 2017. The second largest source of investment is from the Mainland China, accounting for 25.5% of the total position of Hong Kong’s Inward Direct Investment at the end of 2017. The Cayman Islands, the Netherlands and Bermuda took up another 7.9%, 5.8% and 4.3% respectively. The major economic activities of these FDI Inflows are investment and holding, real estate, professional and business services, accounting for US$69 billion in 2017 or 62% of the total inflow in 2017. The figures match with the hypothesis that the real estate price upsurge in recent years in Hong Kong is due to the FDI inflows, and they also match with the findings in the “Paradise Papers” released in 2017 . With the negative real interest rate situation in Hong Kong, and the lack of surveillance on money laundering, Hong Kong is attracting a huge amount of FDI inflows in the past few years, especially after the Global Financial Crisis in 2008. 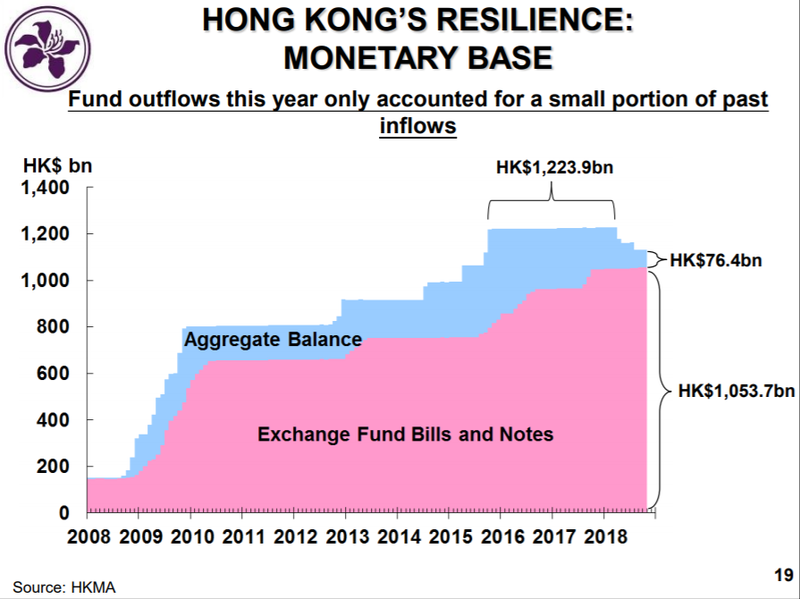 Figure 2 (HKMA, 2018 ) shows the fact that there are still over US$135 billion (HK$1053.7 billion) Exchange Fund Bills and Notes. The increase of about US$111 billion of Exchange Fund Bills and Notes since 2008 reflects the substantial increase of FDI inflows into Hong Kong after the Global Financial Crisis. The recent minor reduction of the Aggregate Balance matches with the decrease of FDI inflows in recent years and the minor drop of housing price in Hong Kong.